How to make money from your blog? This is the same question that I am hearing from 90% of people out there. May be you also have this same question for me. Are you a Hobby Blogger? If answer is yes than after seeing my blog income report, you may have this question that why there is a big difference between my blog and your blog earnings. 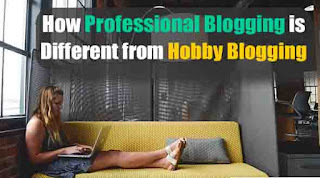 If you really want to know what make other pro blogger make more money than hobby bloggers than you should read this guide carefully. Today I am talking about the most crucial and most fundamental aspects of professional blogging. These can change the way of your blog forever. Is hobby blogging different from blogging for money? Since I began as a blogger in 2013, I have read countless blogs and met many bloggers. The very common thing about most of the blogger is that they all had started blogging as hobby. I am also the one of those bloggers who have started blogging as hobby. According to me, hobby blogger is a blogger who writes about multiple subjects or who blog about everything or anything. There is no defined limitations or rules on his blog. Many hobby bloggers has started their blogs to rant about various issues, share their thoughts, ideas or philosophies. Hobby blogger hardly worry about site design or SEO optimization. The only think a hobby blogger care about is how many people are reading his blog. If you think that this describes you then you are a hobby blogger. When a hobby blogger discovers how to make money blogging, it changes his way to look at his blog. In the beginning Bloggers start with ad network such as Bidvertiser, Google AdSense, infolinks, Chitika etc. These are the common steps how a hobby blogger turn to a professional blogger. Now the next question that comes in the mind of a blogger is that How can he earn money like established bloggers? Now the question is what are the established bloggers doing differently than you to earn more money from their blog? Qualities : hobby blogger Vs professional blogger. The niche of a blog is a main factor to turn any blog into money-making machine. Blogging on commercial topics help you make more money such as finance, health, business, education or marketing are the topics that bring more money. Always choose a topic of commercial value. You can use SEMRush or Google’s keyword planner tool to check the competition, CPC (cost per click) and keywords to confirm the commercial value. When you write a blog, your focus should be on your target audience. You need to write for those who should read your content regularly. Now you need to understand your target audience. Interview most engaged users, survey your readers and this will help you to understand their interests. You do not need to be technically savvy or a programmer to be a great blogger. There are most valuable skills that you should focus on. If you are good try to be better day by day. Learn the skill of copywriting and storytelling to write compelling content. Also Learn blog writing tips. Improving writing skill and this will help you to be successful. SEO is the way to rank higher in search engines. You can learn best SEO practices in just 48 hours. Then all you need to do is practice and discover a perfect SEO formula. Virtual world is living on promotions. If you do not promote your writings then you will never get anything out of it. Learn how to promote your blog and posts, how to make brand of your blog and how to promote yourself. This will take time but when you know how to do it you will be on your way to success. Professional Bloggers always have a business plan. Business plan is a datesheet of your blog’s success over time. So these are the four wonderful tips to turn your hobby blog to money making blog. 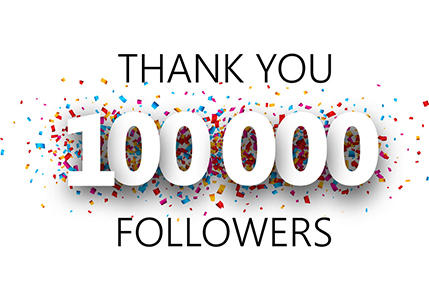 You cannot calculate the limit of potential growth of your blog. You cna reach out billions or people and make millions of dollars every month. Do share are you a hobby blogger? and how you will turn to be a professional blogger? If you have any question, feel free to ask me via comments. Don`t forget to subscribe our newsletter or follow us on Twitter or facebook to get latest updates.